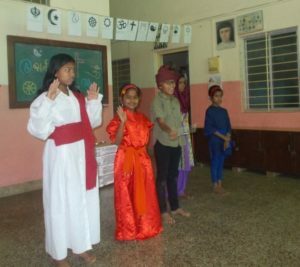 On the 15th of March 2019, a week-long preparation for interfaith was kept up devoutly by the boarders and the children of the village at Kunegaon. They gathered in the hall to thank God for the variety of religion in India. 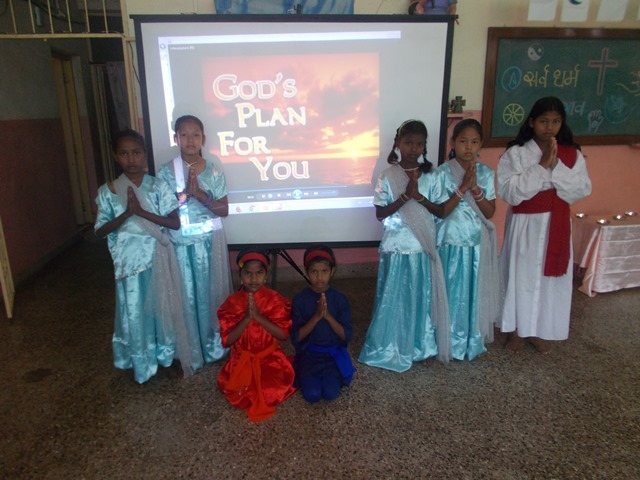 At 9.30 in the morning, a well-prepared prayer service was conducted and each child spoke a few words about the faith they believe in. The Scripture quotations were taken from different Holy books and a short introduction was given about all the religions. 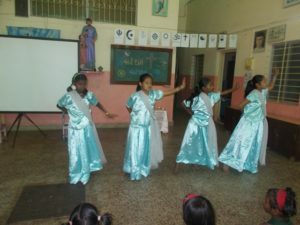 A dance and a video clipping were shown on different religions. It was encouraging to see how the children love what they believe in. In the end, all joined hands and prayed the Our Father with respect and devotion.